Entrusted by the CAS Bureau of International Cooperation, a summery meeting on the feasibility study of project which aims to help <?xml:namespace prefix = st1 ns = "urn:schemas-microsoft-com:office:smarttags" />Cambodia to set up the first national botanical garden was held in CAS Kunming branch on May 31. Dr. Li Junxiong, assistant director of the Bureau presided over the meeting. 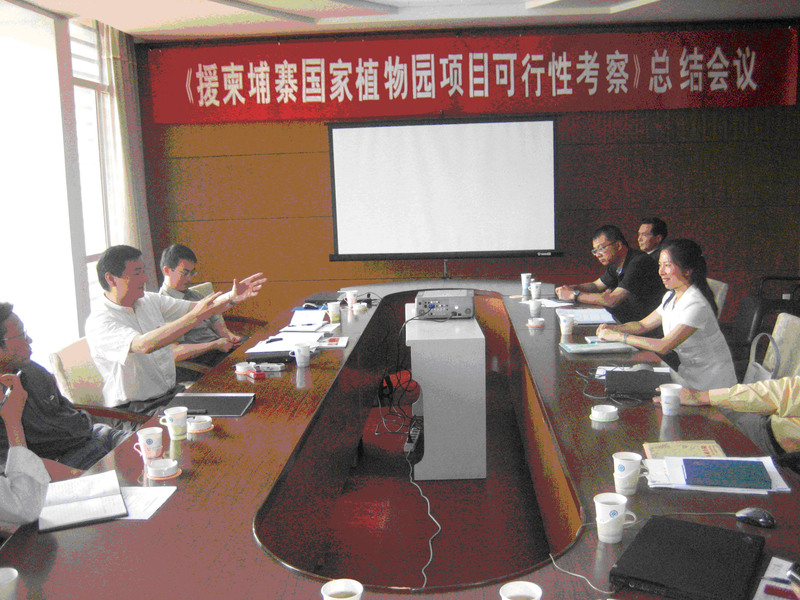 Dr. Chen Jin, Dr. Cao Min, and some other related officials and personnel participated in the meeting. The participants briefed the background, general planning, goal setting and progress of the foreign-aid project. XTBG made project feasibility study report at the meeting. Suggestions for the implementation of the project were gathered. P.S. In late January 2007, Dr. Cao Min headed up a 13-person team on a one-month field trip to Cambodia for a preliminary feasibility study for the foreign-aid project which aims to help Cambodia to set up the first national botanical garden, and thus enhancing the national capacity in biodiversity management in Cambodia. Afterwards, the project feasibility study report was submitted to CAS Bureau of International Cooperation and Department of Foreign Aid of the Ministry of Commerce.